Thank you to all our wonderful supporters for making Thrive’s 2018 Spring Benefit a huge success! The Spring Benefit held at the Oak Park Country Club on Saturday, April 14th, was a lovely evening. Over 260 guests braved the inclement weather to join us as we celebrated Thrive’s 120th year anniversary. We broke our record for this event, raising more than $200,000 to support Thrive’s services. Executive Director John Meister spoke of Thrive’s history, reinforcing this year’s theme of Community Helping Community. Watch our Mission Moment video that premiered at the Benefit on Saturday. Thank you to Griffin & Stebbing for presenting our mission moment. Click the button below to view photos from the event. 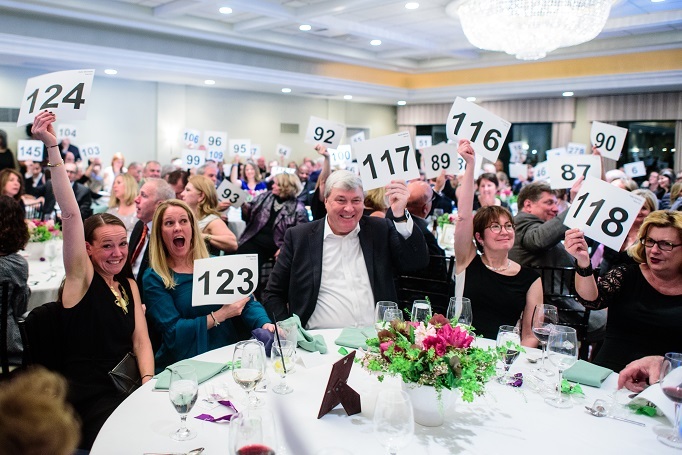 To everyone who supported this incredibly successful event through your attendance, underwriting, sponsorship, ad purchases, ticket purchases, donations, silent and live auction contributions and raffle ticket purchases –– Thank you for helping THRIVE flourish! If you missed the event and would still like to make a gift . . . it’s not too late! Click below to lend your support.